Kris Larson, president and CEO of Downtown Grand Rapids Inc., is the guest during this month's episode of City Connection. City Connection - October 2016 (ft. Kris Larson & DGRI) from GRTV on Vimeo. This month's question is from community journalist Carly Schweppe. Join us today, Monday, October 3rd at 5 p.m. on LiveWire, Comcast Cable 24, for tonight's episode of the City Connection. Mayor Rosalynn Bliss will be joined by Kris Larson, president and CEO of Downtown Grand Rapids Inc. Larson and Mayor Bliss will discuss food trucks, the Calder Plaza redesign, GR Forward and other DGRI projects and news. 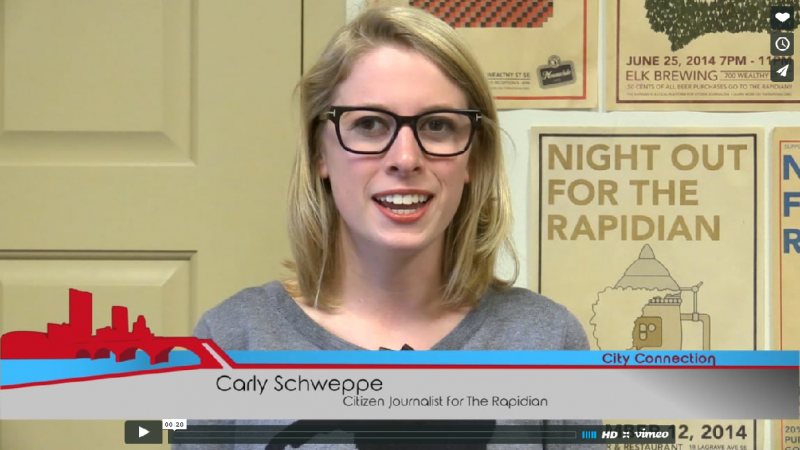 This month we're featuring a question from citizen journalist Carly Schweppe. You can add your own questions each month by calling in, emailing, tweeting or just posting a question in the comments section at the bottom of this page. Every month on the first Monday, Mayor Bliss will be open to all questions sent in during or in anticipation of her live on-air show "City Connection." The mayor will respond to citizen questions submitted by calling in, emailing, tweeting or just posting a question in the comments section at the bottom of the article page. Rapidian Question - October 2016 from GRTV on Vimeo.